And despite the recent hacks and attacks against me and others, the latest one being a notification that my blog posts aren’t connected to Facebook, again..we should still take a moment to look at the big picture and realize what an incredible opportunity it is to be here right now. The fireworks are already being prepared, I can sense it. There is cause for celebration. 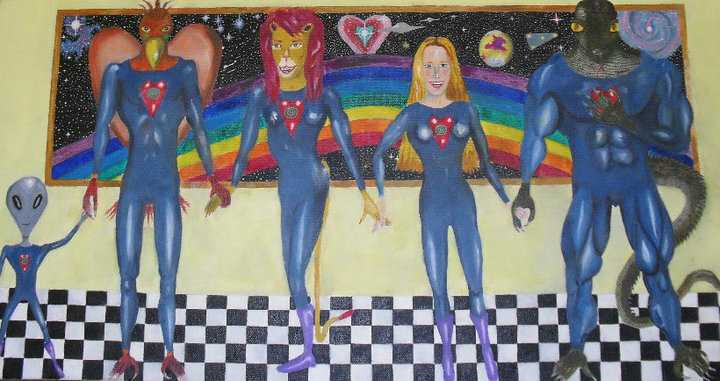 The Universe in all of its history and in all of its grandeur and magnificence is preparing to completely reset itself and begin anew and the last guest to arrive to the party is Earth and her crew. 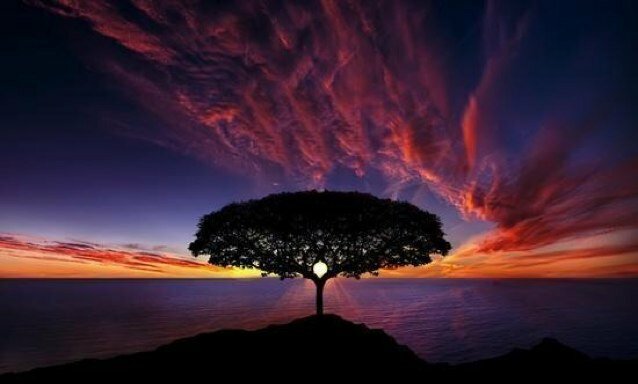 A Planet with so much diversity of life, both Human and non-Human, oh the richness of the cultures! It’s easy to forget we are the holders of the golden tickets and are living in these amazing times as we deal with the daily nonsense of The Matrix. Many wanted to come here, but there weren’t enough bodies. Dolores would say that some souls incarnated here into babies bodies knowing that they were going to die during birth or shortly afterwards that way they can say they were there when this change happened, that they were there on Earth during this emergence of the Golden Age. That is how significant this time is right now. And with the acceleration of current events I.E. the crumbling of the Cabal’s power control structure recently we are seeing changes that this planet has never seen before. 800 year-old dormant volcanoes are awakening, Lynn de Rothschild is betraying John Podesta and calling him a loser on Twitter, Donald Trump is alluding to PizzaGate in his most recent press conference, it’s all falling apart and in real time. One of the things that we keep hearing about is that we are in what the insiders are calling ‘A/The Grand Experiment’. It’s interesting to note that this shows up in Dolores Cannon’s work many times as I read just in one of her books, ‘The Three Waves of Volunteers‘. As it turns out there are a very high number of experiments of many kinds; spiritual, genetic etc, happening here right now. I hope you’re not camera shy! What we hear is that normally during the Ascension process people die and leave their physical bodies and Ascend when they enter the other planes/densities of existence. Well this time is a little, or a lot, different. We are taking our bodies with us this time! Holy crap! What does that mean? Well we don’t know for certain, that’s the whole thing about ‘experiments’, you never know for sure how they will turn out. But someone has to take the plunge (who else raised their hands?!). 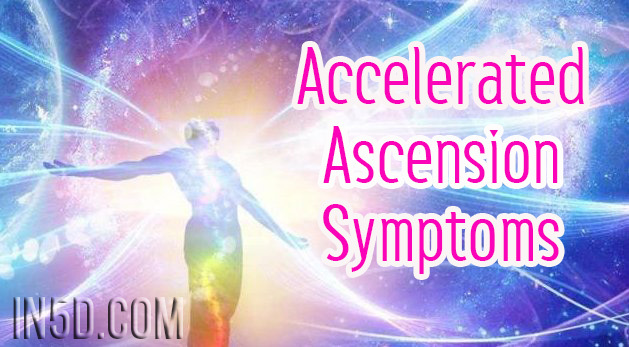 We can see results in various people in the form of Ascension symptoms. We are also hearing that this is a planet experiencing extraordinary circumstances with its evolution and experience and with a lot of time and effort invested so no cataclysms will be allowed to occur. The experiments will go on as planned. I recall watching a lot of videos with David Wilcock and Corey and the things insiders tell them and I remember something that really stuck with me, and it made sense. Most planets will have humanoid life evolve from the native 2nd Density life that originates there. He had shared with the audience that most planets have 1-3 species of humanoid beings max living there. Now think about all the different people we have here. It’s literally like a Men in Black conference room on this planet. People with light skin, dark skin, blue skin, various eye colors and shapes. It’s totally amazing! You’re all living on a planet full of E.T. immigrants! Perhaps it is these new energies that are causing these feelings of amazement but every time I see some new culture or language I just want to learn more about it and get to know those people. I’m not sure if anyone else had heard of or read the Project Serpo information on their website or listened to the Fade to Black episode with one of the writers of that website last year but I literally binged-read that whole thing and thought it was just the most amazing thing. 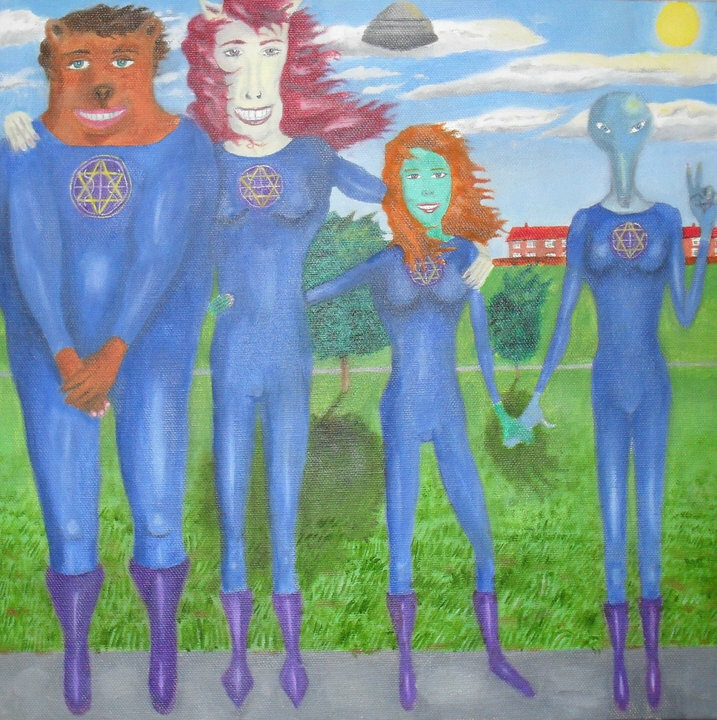 For those who aren’t familiar with it Project Serpo was the U.S. Gov’t sanctioned exchange program we did with a race of beings from the Zeta-Reticula star system a long time ago. If you haven’t heard of it I highly recommend doing so as the perspective you will gain is absolutely priceless and invaluable. The reason I bring it up is to bring attention and to put in bold the idea of the vast difference in culture and daily activities that vary from planet to planet, species to species. These beings, or the EBENs, lived in contentment, but in a total police state, everything was monitored, but there was no crime. They all had jobs that they would do and they had other beings that would visit there but the majority of them were the EBENs. I will close this post out with a final note and that would be for me to encourage everyone to really look at the amazement of the experience we are having here and with one another and realize it is truly one in a million (or more?) and we are some of the luckiest beings to have front row seats and a part to play in the grand finale of the crumbling and soon-to-be-forgotten Old Universe and rise of the New One. And Look at That I Closed this Article out with 1,111 Words! Loved this, loved this, loved this!!!!!!! !